Think the notion of an aircraft dedicated to flying sports teams sounds whimsical? Think again. Economists at Sukhoi Civil Aircraft have calculated that the sports air transportation market is worth in excess of US$600m per year, and they want to corner that market. Their proposition is a unique aircraft cabin that can boost athlete performance and recovery to improve team performance. The rigors of the playing arena, whether a football field, ice rink or basketball court, take their toll on the athletes’ bodies, as do the rigors of the intensive travel involved between fixtures in terms of physiological and psychological effects – and of course good old jetlag. According to Sukhoi’s findings, almost every major league or national sports team charters aircraft, mostly narrow-bodies with reclining business class seating. Very convenient and comfortable – but not optimal. 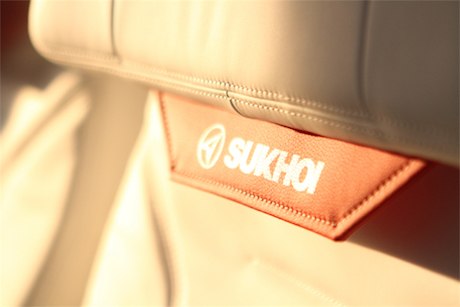 Thus Sukhoi has consulted with sports physicians, experts and managers to create an aircraft that offers medical and IT solutions that address sports injuries sustained during the game, as well as flight-related issues such as jet lag, hypoxia and dehydration. “Statistically, teams that fly to a game perform worse than the home team. The idea is to create a home field advantage,” Andrachnikov explains. 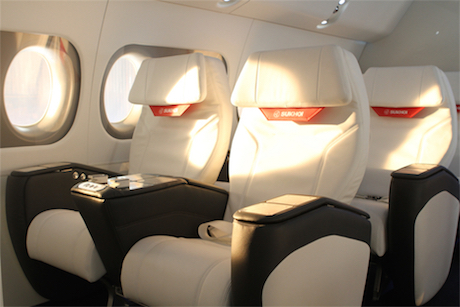 The SportJet, which is based on the Superjet 100 regional jet, will have four functional zones: the flight zone, the recovery zone, the coaching zone and an administrative area. 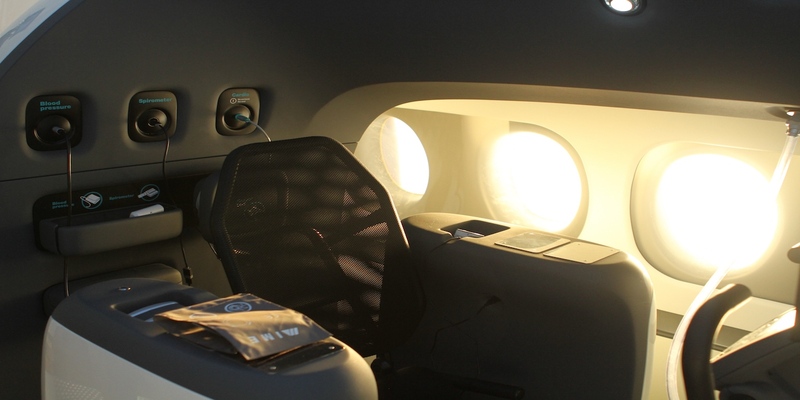 The concept has 45 seats, although there is capacity for more, and it has a range of 2,800 miles (4,500km), which can be extended to 3,700 miles (6,000km) if additional fuel tanks are certified. 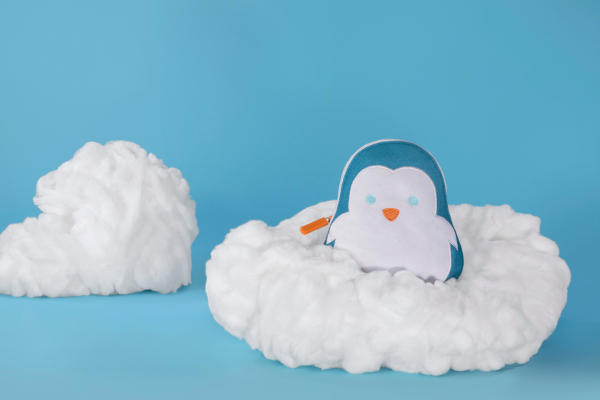 “It’s not an expensive toy – teams are thinking about making money,” asserts Andrachnikov. Athletes like a little special treatment, so when boarding they will find their seats sport their player number and a personal greeting on the IFE screen. The seats recline almost flat – although fully flat beds would be a logical development – and also feature biomedical technology including bioimpedance sensors and pulse oximeters integrated into the armrests, backrest and seat pad, which can monitor physiological and psychological parameters during a flight. A wearable diagnostic device – the Sportband – also monitors each athlete’s functional state and displays an individual air adaptation index. A bespoke software system processes the data gained from the sensors and generates recommendations for each athlete’s flight program, which is displayed on the IFE monitor. 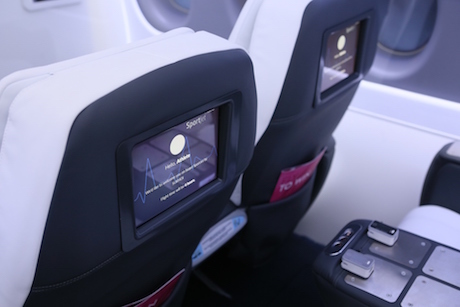 The team coach and physiotherapists can also access this information via the IFE in their seating zone, or wirelessly via their own personal electronic devices to make sure players’ needs are met – and that they are obeying Dr SportJet’s orders. The SportJet software systems store data from each athlete on each flight, to monitor how effective its recommendations are proving and to make any necessary adjustments. The IFE displays are not just for medical information, though: athletes can also use the Be Ready To Win multimedia system that contains motivational programs, video analysis of matches and theoretical training programs – or even just watch a movie during downtime. A nice touch is the special customized media content for celebrating victories – this may be a little less cheerful if a match has not gone well. While the seats can monitor players’ health, the recovery zone is a little more involved, being the onboard sports and medical center. 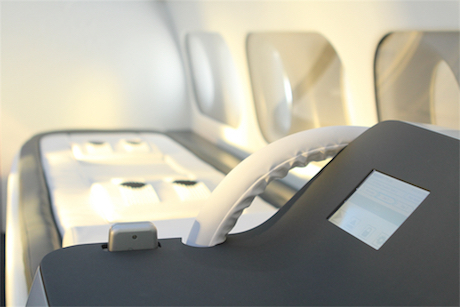 Athletes can be invited to sit in the AeroScan diagnostic capsule, where they are hooked up to various sensors, which give the medical staff comprehensive information and assessment of physiological indicators. The capsule includes a bioimpedance sensor, an ECG recorder, a spirometer to measure lung performance, a hypoxic generator to regulate oxygen, a blood pressure monitor, and a pulse oximeter to measure oxygen saturation in the blood. 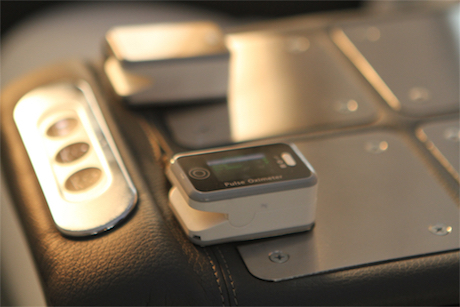 Injured players can be treated on a multifunctional lie-flat biomedical table, which can be used for physical therapy, including cryotherapy (extreme cold treatments), electrical muscle stimulation therapy, press and lymphatic drainage, and massage – or simply as a flat surface for badly injured athletes to lie on during flight. 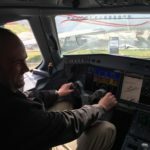 “This feature is helpful for athletes to overcome issues relating to the 45,000ft flying altitude when flying to 70-80 games per season,” says Andrachnikov. Athletes can also use the dynamometer isokinetic exercise machine and optional ergometer in the recovery zone for inflight training and warm-up sessions – all fully monitored by the SportJet systems. 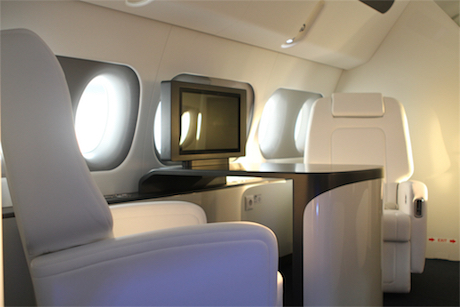 Of course, the athletes’ needs are the main focus of the aircraft, so the remaining zones are simple: a zone for coaching staff, with fore and aft club seating, desks and touchscreens to help them analyze player performance and plan strategy for the next fixture; and simple economy-style seating for the administrative staff that accompany the team during the sporting season. Sukhoi was demonstrating a 15m-long mock-up of the SportJet cabin to potential clients at the Rio 2016 Olympics, and intends to have the aircraft certified and transporting teams in 2018. That timescale could work well for Sukhoi marketing, with 2018 also being the year the FIFA World Cup is hosted by Russia. 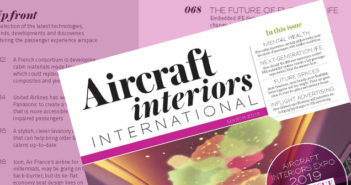 “We are sure that flights for professional sports teams on SportJets will eventually become an integral part of the air transportation market,” says Andrachnikov. “As a regional aircraft manufacturer, we don’t have the luxury of being able to sit idle and wait for customers,” states Andrachnikov, when asked why the company is investing in such a niche product as SportJet. Among the projected customers for the SportJet are national sports federations, clubs, and even individuals. Some top-flight sportspeople might be interested in having their own personal SportJet, although this is a limited market populated by only the biggest names such as golfer Tiger Woods, NFL quarterback Tom Brady and Yankees hitter Alex Rodriguez, all of whom have bought their own aircraft. Similarly, some team owners could be interested, although several such as Dallas Mavericks boss Tom Cuban, while they have their own jets, seek luxurious rather than medical appointments inflight. The big potential lies in the national and professional teams. “It’s not just fantasy,” says Sukhoi’s Evgeny Andrachnikov, pointing to Delta’s charter deal with the US National Basketball Association as an example, with the airline’s 11 all-business B757-200s (complete with oversize lavs) carrying 11 of the 16 participating teams. United has similar arrangements to carry NFL teams and even US college football teams, the latter of which Andrachnikov sees as a big market with hundreds of teams. And, most importantly, its medical technologies make SportJet unique. “We won’t take market share as there isn’t one. We are creating a market to take over,” states Andrachnikov. He believes that the first deals will be with the KHL, not only due to their requirements, but as a matter of national pride, international image, and low cost. He expects to sign deals with all 29 teams in the hockey league.